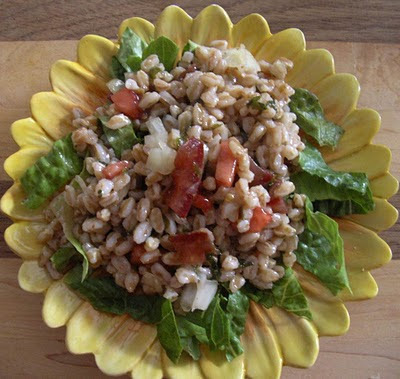 I've never tried farro before...but I've seen it at the market, and I've always been interested in trying. Well now I have inspiration! Thank you for sharing another great recipe. Many blessings tomorrow and in the days to come! I told my sister I was going to post about farro soon and then I find you beat me to it. I still will, but it's nice to see other places.